“Despite countless protests by doctors and overwhelming public opposition — up to 60% of Americans opposed this bill — the current party in control of Congress pushed this bill through with legal bribes and Chicago style threats and is determined now to resist any ‘repeal and replace’ efforts. This doctor’s office is non-partisan — always has been, always will be. But the fact is that every Republican voted against this bad bill while the Democratic Party leadership and the White House completely dismissed the will of the people in ruthlessly pushing through this legislation…. This message is going out to an electorate that is already frustrated over what they see happening to health care. Missouri voters rejected ObamaCare overwhelmingly in August, voting by a margin of 71%-29% to reject the federal requirement that all individuals purchase health insurance. Democratic pollster Douglas Schoen has assessed that ObamaCare is “a disaster” for Democrats. And around the country many little-noticed primaries have reflected voter rage—including the Republican primary victory of surgeon, political newcomer, and advocate of repeal Daniel Benishek in Michigan’s first district. Meanwhile, the Obama administration’s damage-control efforts have fallen flat. The latest round of pro-ObamaCare television spots targeting the elderly and starring veteran actor Andy Griffith have not only failed to move the polling numbers. They have caused five U.S. Senators to ask for an investigation of the ads as a violation of federal laws barring the use of tax dollars ($750,000) for campaign purposes. Economic Fascism By Tom DiLorenzo. Government has been mismanaging medical care for more than 45 years; for every problem it has created it has responded by exponentially expanding the role of government. 1.No one has a right to medical care. If one assumes such a right, it endorses the notion that some individuals have a right to someone else’s life and property. This totally contradicts the principles of liberty. 2.If medical care is provided by government, this can only be achieved by an authoritarian government unconcerned about the rights of the individual. 3.Economic fallacies accepted for more than 100 years in the United States have deceived policy makers into believing that quality medical care can only be achieved by government force, taxation, regulations, and bowing to a system of special interests that creates a system of corporatism. 4.More dollars into any monopoly run by government never increases quality but it always results in higher costs and prices. 5.Government does have an important role to play in facilitating the delivery of all goods and services in an ethical and efficient manner. 6.First, government should do no harm. It should get out of the way and repeal all the laws that have contributed to the mess we have. 7.The costs are obviously too high but in solving this problem one cannot ignore the debasement of the currency as a major factor. 8.Bureaucrats and other third parties must never be allowed to interfere in the doctor/patient relationship. 9.The tax code, including the ERISA laws, must be changed to give everyone equal treatment by allowing a 100% tax credit for all medical expenses. 10.Laws dealing with bad outcomes and prohibiting doctors from entering into voluntary agreements with their patients must be repealed. Tort laws play a significant role in pushing costs higher, prompting unnecessary treatment and excessive testing. Patients deserve the compensation; the attorneys do not. 11.Insurance sales should be legalized nationally across state lines to increase competition among the insurance companies. 12.Long-term insurance policies should be available to young people similar to term-life insurances that offer fixed prices for long periods of time. 13.The principle of insurance should be remembered. Its purpose in a free market is to measure risk, not to be used synonymously with social welfare programs. Any program that provides for first-dollar payment is no longer insurance. This would be similar to giving coverage for gasoline and repair bills to those who buy car insurance or providing food insurance for people to go to the grocery store. Obviously, that could not work. 14. 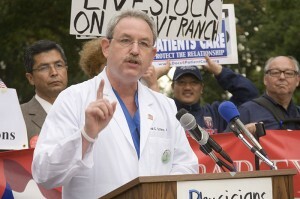 The cozy relationship between organized medicine and government must be reversed. Early on, medical insurance was promoted by the medical community in order to boost re-imbursements to doctors and hospitals. That partnership has morphed into the government/insurance industry still being promoted by the current administration. 15.Threatening individuals with huge fines by forcing them to buy insurance is a boon to the insurance companies. 16. There must be more competition for individuals entering into the medical field. Licensing strictly limits the number of individuals who can provide patient care. A lot of problems were created in 20th century as a consequence the Flexner Report (1910), which was financed by the Carnegie Foundation and strongly supported by the AMA. Many medical schools were closed and the number of doctors was drastically reduced. The motivation was to close down medical schools that catered to women, minorities and especially homeopathy. We continue to suffer from these changes, which were designed to protect physician’s income and promote allopathic medicine over the more natural cures and prevention of homeopathic medicine. 17.We must remove any obstacles for people seeking holistic and nutritional alternatives to current medical care. We must remove the threat of further regulations pushed by the drug companies now working worldwide to limit these alternatives. True competition in the delivery of medical care is what is needed, not more government meddling.